Nor poems of war and valor. Having come back to The Blog for the first time in… oh jeez… two years, I realized that my Blogroll and my List O’ Links were both horribly out of date. There were blogs and websites missing from each respective list, some blogs were either dead or had been taken down altogether, and there were new blogs & sites that I wanted to add. Unfortunately, in the… oh jeez… two years since I last updated or edited The Blog, WordPress has changed its User Interface. Probably multiple times. To the point where I cannot for the life of me figure out how to edit those lists! So in the interest of not confusing and/or aggravating my readers, I’ve removed both the Blogroll and List O’Links completely until I can figure out how to edit and update the lists. If your blog or site was on one of those lists, my apologies for de-listing it. I was watching the new trailers and TV spots for Solo: A Star Wars Story, and I realized something: I’m not excited for the movie. At all. I’d go so far as to say that I’m actually apathetic. Because while it looks like a Star Wars movie, it still doesn’t feel like a Star Wars movie. And the more I think about it, the more I realize that The Force Awakens and The Last Jedi didn’t feel like Star Wars movies either. They all felt like Star Wars fan fiction put to screen (I’ll leave the debate as to the quality of said fanfics for another post). The first act of Rogue One didn’t fell like Star Wars either, but the film redeemed itself by the climax, and I maintain that the Battle of Scarif is what the Battle of Endor should have been from the start. I can’t comment on the Rebels TV show as we don’t have Disney XD and I haven’t seen a single episode. Much as it pains me to admit this, I’m not happy with what Disney has done, is doing, and apparently plans to do with the franchise. I was hoping that they were going to pull a Marvel, respect the franchise, respect the legacy, respect the fans, and create an awesome cinematic universe. But it feels to me like they’re not doing that, and that they see the franchise as nothing more than a cash cow to be milked until it’s dried up and dead. So I find myself not at all looking forward to Solo, Episode IX, the future spin-off films, and I’m not planning on visiting either the new Galaxy’s Edge area in Disney World or the new Star Wars-themed hotel. You probably think, after reading all that, that I hate Star Wars now. I LOVE Star Wars. I still love the Original Trilogy, and I still plan on joining the 501st Legion soon (hopefully after meeting the local chapter at a local comic con next month). But how can I love Star Wars if I hate what Disney’s done with it and don’t care about the future? Because when I plug in any of the original movies, I’m a nine year-old kid all over again. I still feel that sense of awe watching that Star Destroyer fly overhead in the opening shot of A New Hope. I still find myself on the edge of my seat watching Luke fly down the Death Star Trench with only seconds left before the battle station obliterates the rebel base, even though I’ve watched that scene over a hundred times now. I still get goosebumps watching Yoda lift the X-Wing out of the swamp. I still get chills when Darth Vader says The Line (you know what I’m talking about, and if you don’t stop what you’re doing and watch The Empire Strikes Back immediately!) I still cheer when Luke and friends turn the tables on Jabba the Hutt over the Sarlacc Pit, and I’m not ashamed to admit that I still tear up a little when Anakin Skywalker redeems himself and sacrifices himself for his son. And NOTHING that Disney does with or to the franchise can EVER take that, any of it, away from me. I’ve been seeing a common trend in my Facebook feed over the last twelve or so hours, since FBI Director Comey announced that the Bureau is not going to recommend filing charges against Hillary Clinton even though he all but admits she’s guilty as hell. Said aforementioned trend is posts declaring that “This is the end of Liberty,” or, “America is Over,” or, “RIP USA July 4, 1776 – July 5, 2016,” etc. and so on and so forth. You get the idea. The theme seems to be that Director Comey’s announcement marks the end of the United States of America as we know it. You know what, doomsayers? You’re wrong. Know how I know you’re wrong? Because we’ve been here before. No, we haven’t had a felon and possible war criminal about to become our next President, I’ll give you that, but I’ve heard this whole, “America is Dead,” business before. I heard it each time the Supreme Court upheald an aspect of Obamacare. I heard it when Obama was reelected. Heck, I heard it back when he was elected the first time. I heard it when the Patriot Act was renewed, and when the Patriot Act was first passed. I’m too young to remember, but I’m sure they were saying “America is Dead!” every time FDR got reelected, when he tried to pack the Supreme Court, and when he ordered the forced relocation and internment of Japanese-American, German-American, and Italian-American citizens. That same doom and gloom message repeated for decades, and yet we’re still here. Now are times good? Heck no! Things are pretty rotten in Denmark right now. And I can pretty much guarantee that things are going to get a heck of a lot worse in the coming months. But America, I believe, will ultimately prevail. Why? Because there are still Patriots and Lovers of Liberty in this country, men and women who truly believe in Life, Liberty, the Pursuit of Happiness, and Freedom and Justice for All. And they are willing to fight for those ideals. Not fight with the cartridge box (not yet anyway), but fight atop the soapbox, fight with the ballot box, and fight in the jury box. And, if you’ll forgive me paraphrasing a cheesy speech from a corny movie, we will not go quietly into the night. We will not give up without a fight. We will survive. We will persevere. We will win. Make no mistake, things are almost certainly going to get very messy. Things might get bloody, though I hope and pray it doesn’t come to that. But Liberty is not dead. America is not over. Not so long as we are willing to fight for them. Defeat is only certain if we choose to accept it. Okay, this is actually not the stupidest firearm accessory I’ve ever seen. That honor goes to a “tactical” CQB knife that attached to the bottom of a pistol mag floorplate. But this is darn close. WARNING: Do not click the link if you have a weak constitution and/or are easily offended. Even if you don’t and/or you’re not, mental scarring may still result. Don’t say I didn’t warn you. It seems a would-be terrorist boarded an Amsterdam-Paris high speed train yesterday. He carried his bag into the restroom, pulled out an AK-47, loaded it, stepped out into the aisle, and attempted to massacre as many of the 550 passengers as he could. The operative phrase being “attempted to,” because a pair of off-duty United States Marines happened to be seated nearby. Reportedly, they heard the distinctive sound of the Kalashnikov being loaded and, being Marines, immediately sprang into action, quickly disarming and subduing the would-be mass murderer before he could actually murder anyone. Unfortunately, one of the Marines was seriously wounded in the incident. Although both French and US authorities are saying that his injuries are not life-threatening, prayers for him and his family are nonetheless outbound. Nonetheless, good on ya, Devil Dogs. Semper Fi. Oorah! EDIT/UPDATE: Okay, it looks like the initial reports were wrong. There were three Americans, one Air Force, one Army Reserves or National Guard, and one civilian. Still, my remarks about them fighting like hounds from hell stands. Good on ya, Yanks. Good on ya. Remember that project I’ve mentioned in the last few posts? It’s live! 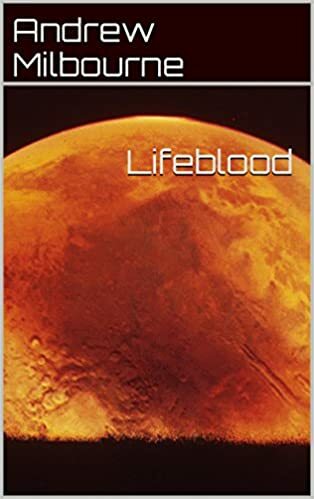 Lifeblood, my first “real” short story is now available for Amazon Kindle. You can purchase it either by clicking on either the link in the post, or on the picture of the cover in the sidebar. It’s a quick read, and at only $0.99, a real bargain! (If you’ll forgive me tooting my own horn). Thanks for sticking with me, everyone. I hope you enjoy Lifeblood. There will be more coming, don’t worry. EDIT: Oh, one thing I forgot to mention: if you don’t have a Kindle Device, you can download the Kindle App to your smartphone or the Kindle Reader to your PC. Both are free.